Running a wildlife safari park is no easy task. You need to take care of the animals, upgrade facilities and make sure your visitors are getting the best experience of their lifetime. 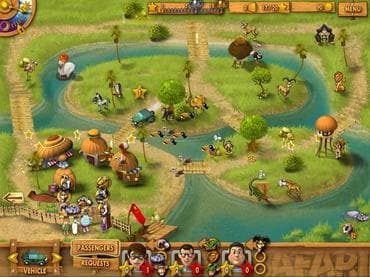 Youda Safari is a cool game for kids and for the whole family. Help your safari park visitors to get photographs and experience the crazy monkeys, hilarious hippos, and all the other fun animals. Use resources the upgrade your park by having better vehicles, more restaurants, and other facilities. Visit six beautiful animal parks around the world in Youda Safari. This game will keep you entertained for hours with fast-paced time management action and hilarious surprises. If you have questions about Youda Safari game, please contact us using this form.